Alternative pop experts MAXIMO PARK today announce the forthcoming release of their sixth studio album, RISK TO EXIST, available on Daylighting/Cooking Vinyl on April 21, 2017. Risk To Exist sees Maximo Park on blistering form, bringing together their trademark hook-laden melodies and sense of urgency with off-kilter rock, soulful grooves and pop sensibilities. Informed by the dire state of world affairs in 2016 and crumbling political systems, their latest body of work is a vital record for our times. Kinetic title track and lead single "Risk To Exist" is a barbed introduction to the album, three and a half minutes of indie punk perfection crafted around rolling snare drums, a towering chorus and a central plea for humanity and solicitude. Inspired by the West’s response to the migrant crisis, the sneering, superior attitude of well-bred Tories, and the small, but meaningful gestures of love that reaffirm what is good in this world, it is a cry for compassion, and simply frames the precariousness of life in its refrain - ‘Throw your arms around me / I’ve come too far and the ocean’s deep”. These are pop songs that talk about big issues without talking down to the listener; an album where the political is also the personal. Risk To Exist (release date: April 21, 2017 via Daylighting/Cooking Vinyl) was co-produced by Tom Schick (Wilco, Beck, White Denim) and Maximo Park. Keen for the inspiration of unfamiliar surroundings after writing the album in their native North-East, the band decamped to Wilco’s studio, The Loft in Chicago, in Autumn 2016. Recorded completely live, the recording represents another bold stylistic step for the band after 2014’s Top 10 Too Much Information. Maximo Park have also enlisted Mimi Parker from acclaimed US band Low for the record, whose voice lends its inimitable warmth to five album tracks, including lead single "Risk To Exist". 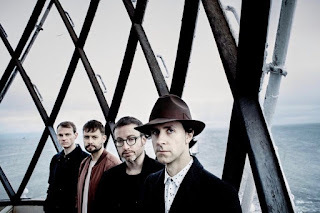 With 1,500,000 albums and four UK Top 10 albums under their belt to date, Maximo Park have once again shifted seamlessly into a higher gear. 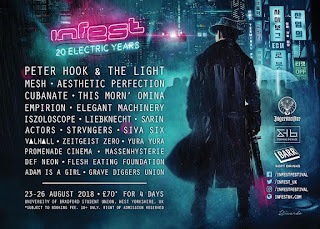 They have expertly crafted an infectious pop album for our time, confronting the crucial issues track by track, one monstrous hook at a time. Maximo Park are Paul Smith (vocals), Duncan Lloyd (guitar), Lukas Wooller (keyboards) and Tom English (drums).